During this service we try to get as close to possible to all sites so it is not necessary to leave the car. We would appreciate advance notification for people requiring wheel-chair assistance, as we need to request permission to drive unto your ship and certain areas around the island. The most popular and easiest solution to shore excursions for..
We are highly rated in the world’s most accurate website, TripAdvisor. Our private tours provide the greatest flexibility, confort and convenience. We speak English well and we provide you information of all the places we visit. You will be traveling with air-conditioned vehicles and experienced drivers. 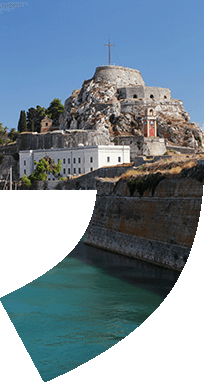 See Corfu as it is today with the beautiful villages and coasts. Visit the very famous places like Paleokastritsa, Achillion Palace, Kanoni with Mouse Island and Corfu Town. Corfu Taxi Private Tours Recommends!